SkinCeuticals H.A. Intensifier is a new age multi-corrective serum that helps to improve skin’s hyaluronic acid levels. Suitable for dry, dehydrated skin with early or mature ageing concerns. Key ingredients include a high concentration of pure hyaluronic acid, a powerful natural humectant, that provides long-lasting hydration to improve the look of skin texture. 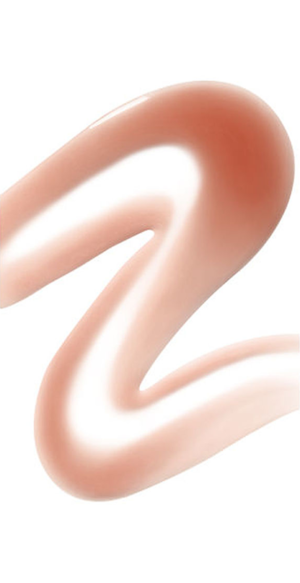 Proxylane™ supports skin’s hyaluronic acid levels to help improve the appearance of skin firmness. Botanical extracts of licorice root and purple rice to support skin’s hyaluronic acid levels and deliver surface hydration, helping improve the visible appearance of firmness, smoothness, and facial plumpness. H.A. 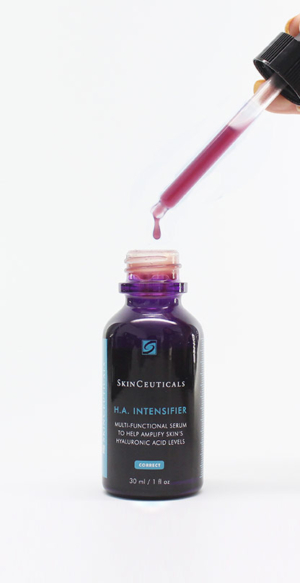 Intensifier uniquely combines surface-hydrating hyaluronic acid with 10% Proxylane™ and an optimal concentration of licorice and purple rice extracts to support skin’s natural moisture reservoir. Dr Webster’s Recommendation: The first step in the skin aging process begins with the skin’s inability to produce sufficient levels of hyaluronic acid. Production starts to decline in the 20s and this decline accelerates in the 40s. In a 12-week clinical study, which can be viewed here, H.A. Intensifier significantly improved skin Hyaluronic acid levels by 30% and improved plumpness by 23%, including an increase in the appearance of other key aging indicators. Use once or twice daily after cleansing in the morning and evening. Unscrew the cap and pull the pipette halfway out of the bottle. Squeeze the bulb gently to draw up the serum. Apply 4-6 drops to the palm of the hand and gently massage onto the forehead, cheeks, chin and neck using your fingertips. This product is fast-absorbing. If using in the morning, apply after a SkinCeuticals Antioxidant (CE Ferulic or Phloretin CF) and before a SkinCeuticals sunscreen. It is important that your antioxidant is applied to a clean, dry skin, followed by the H.A.Intensifier. When using at night, apply to a cleansed skin, followed by your night moisturiser, serum or Retinol. Always use a high factor, broad spectrum sunscreen during the day.